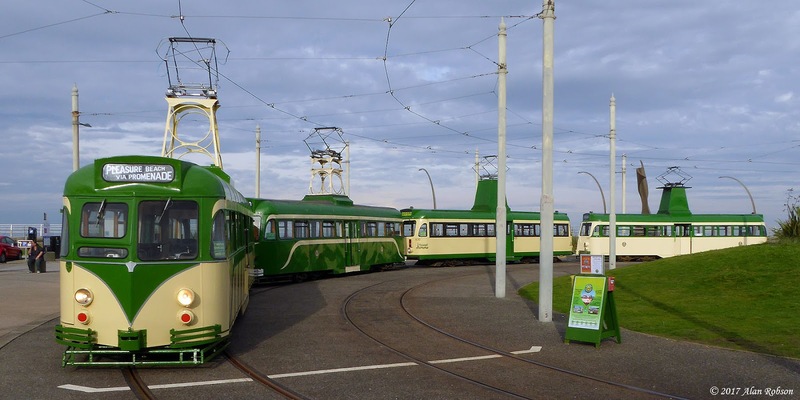 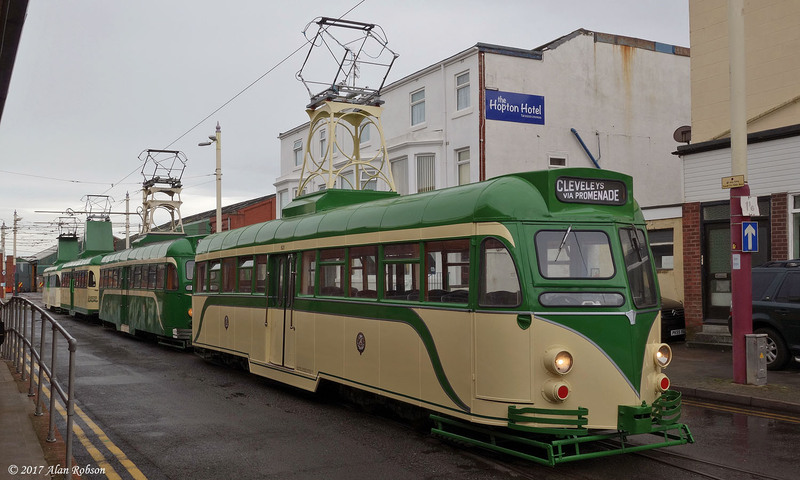 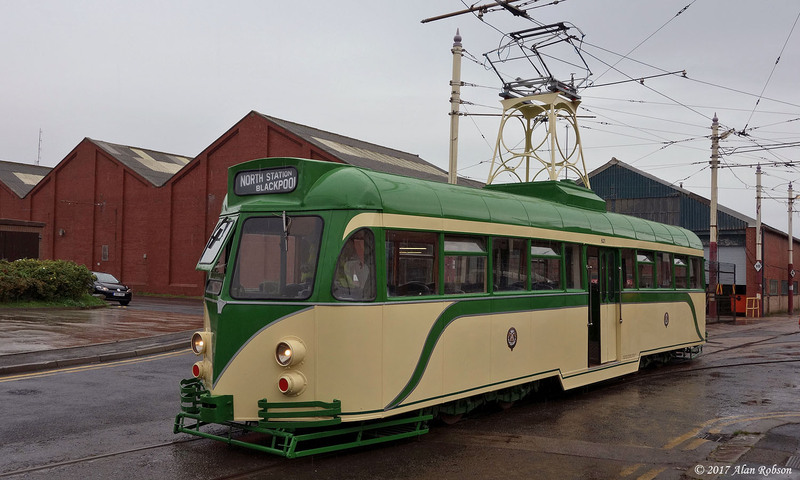 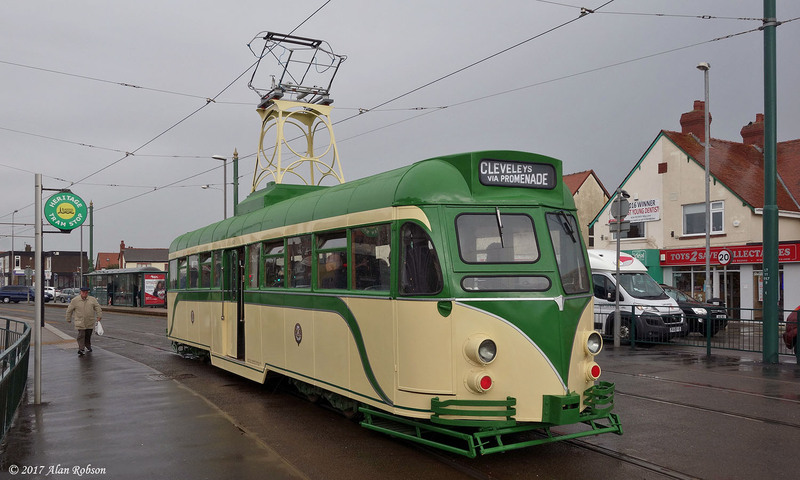 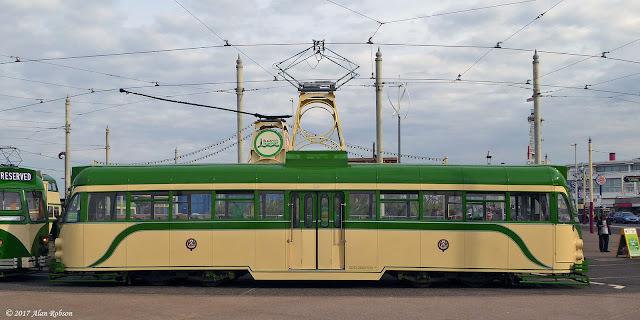 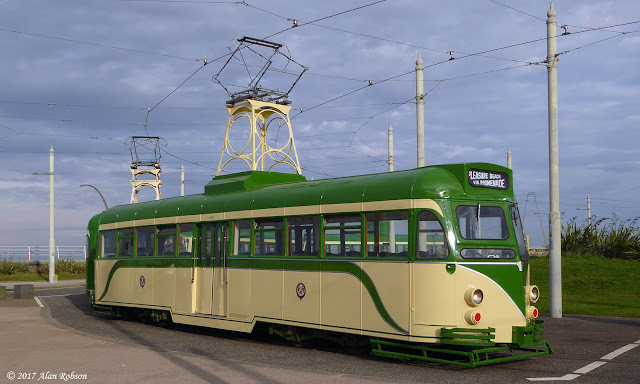 Recently refurbished and repainted Brush Car 621 made its public debut this weekend, as part of the 80th Anniversary of the Blackpool Brush Car celebrations. There was very little sunshine in evidence throughout the three day event, especially during "Brush Car Friday" and on the Saturday. Sunday 24th forecast more of the same, but fortunately their were a few lighter patches of cloud which let the sun filter through on the odd occasion during the day. 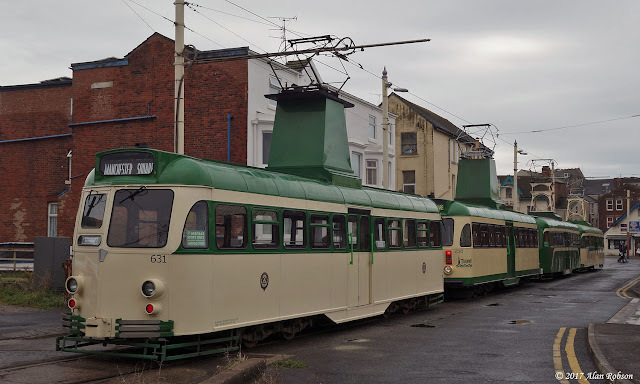 The following shots of 621 were taken at the Pleasure Beach, when the sun made a very brief appearance around 9.30 am on the Sunday morning. 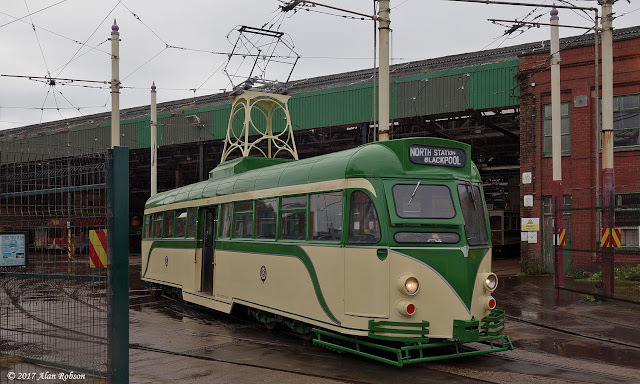 Brush Car 621 made its post restoration debut as part of the 80th Anniversary of the Blackpool Brush Car weekend, on Friday 22nd September. 621's entry into Heritage Tour use was as part of the Brush Car Friday specially timetable service, which saw four Brush cars operating on "Cleveleys Flyers" between the Pleasure Beach and Cleveleys. 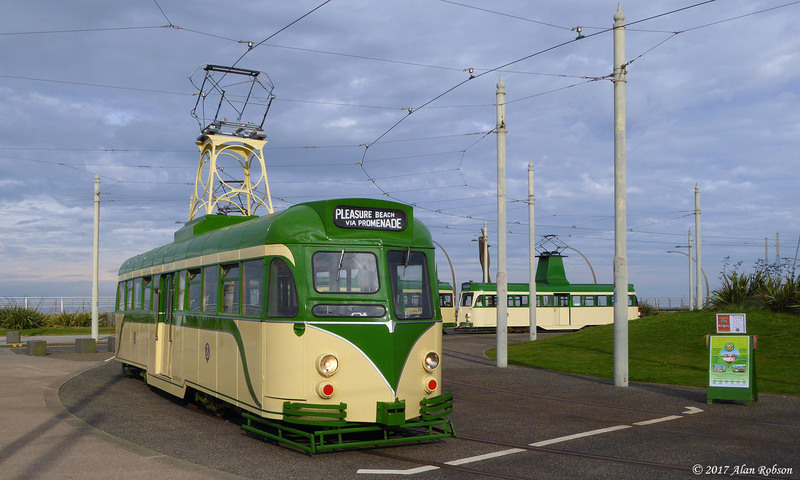 The trams used for this Brush Car only event were 621, 623, 630 and 631. 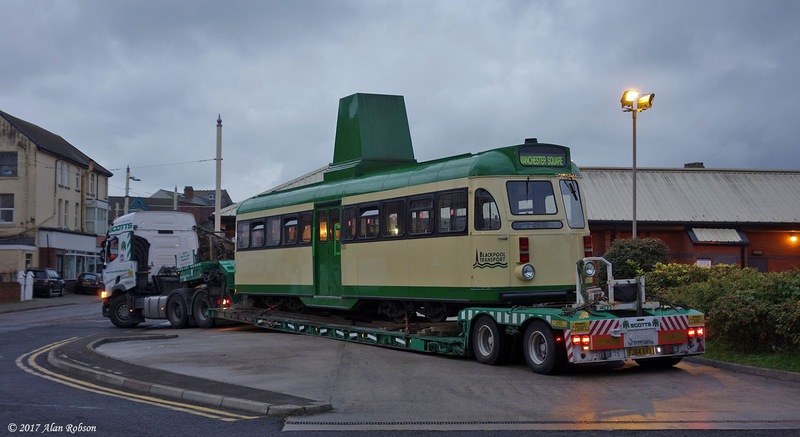 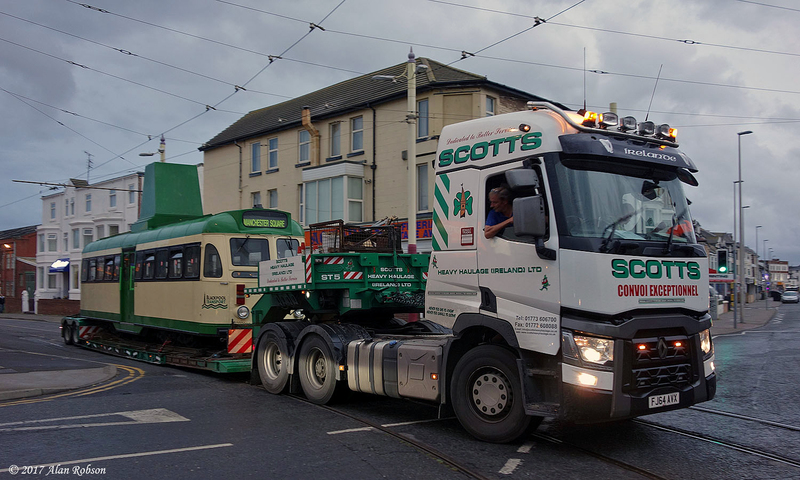 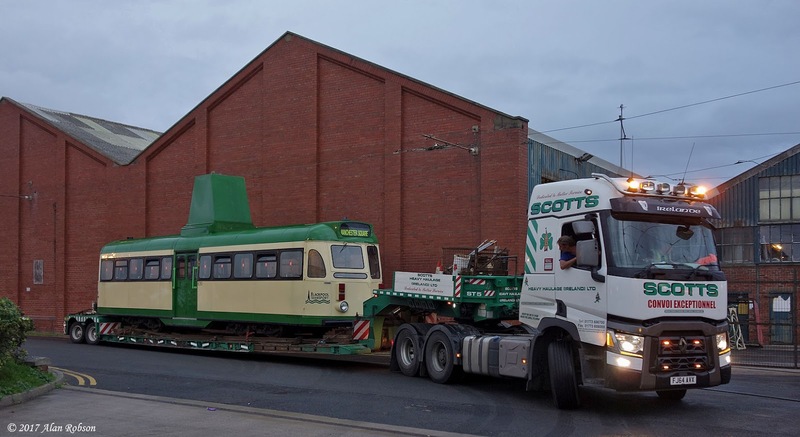 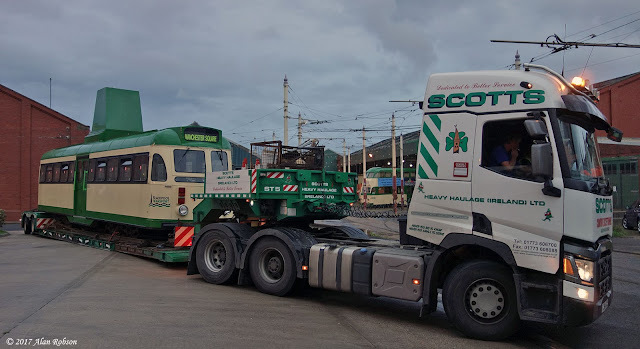 Brush Car 630 arrived in Blackpool during the early evening of 18th September, after making the journey from the National Tramway Museum at Crich on the low loader of Scotts Heavy Haulage. Brush 630 is on loan from the Tramway Museum Society in order that it can take part in the 80th Anniversary of the Blackpool Brush Car event that is taking place this coming weekend. 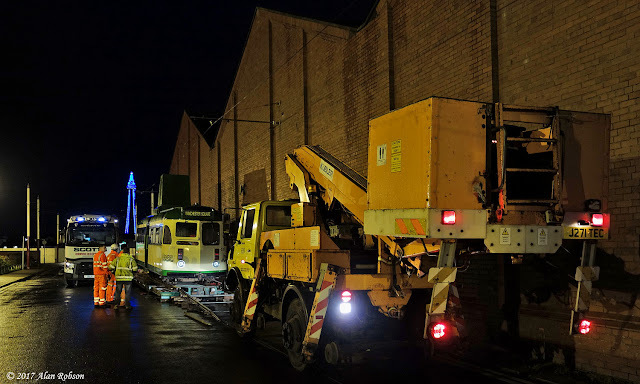 630 was unloaded during the hours of darkness and in rather wet weather.